As a CNA, and a critical part of the nursing team, you'll play a vital role in patient care. In order to prepare you for a wide range of situations, our CNA training in Sacramento focuses on academics and hands-on training in a range of skills, including CPR, First Aid, and AED usage, infection control, taking vital signs, range-of-motion exercises, the Art of Caregiving, communication, teamwork, and workplace safety. Throughout your training you'll receive guidance from caring, licensed professional nurses who can help you learn what it takes to succeed. Held during daytime hours, our CNA courses emphasize academics and hands-on training – making it easy to learn and apply your knowledge immediately. After your in-class training is complete, students will continue their education in a professional setting by taking part in clinical rotations. All aspects of the class are taught by caring, professional nurses who will help guide and support you on your journey. All of the Red Cross's Sacramento CNA classes consist of two sections: in-class training and clinical rotations. During your clinical training students will work directly with patients in a health care facility. During this time, you'll be supervised by a Licensed Nurse, who also is licensed by the State as a Nurse Assistant Training Instructor. By working side-by-side with other aides, nurses and medical professionals you'll not only understand what being a CNA is really like, but you'll learn the importance of good communication, teamwork, and providing patients with the highest level of care. After receiving your CNA certification you'll be qualified to join the medical staff at a doctor's office, hospice, in-home or long-term care facility, or hospital. In your role at facilities such as these you'll work under the direction of a nurse, and act as the bridge between patients and nurses. The specific types of duties you may be expected to perform are largely dependent upon the type of facility you work at, however as part of your training we work to ensure that you'll be ready for what lies ahead. 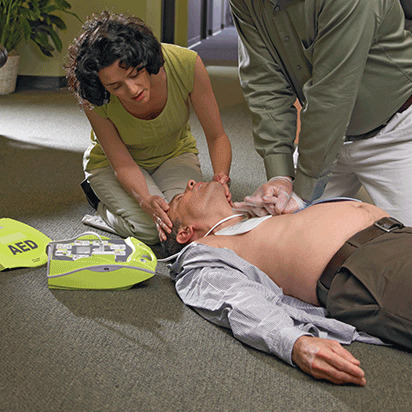 To that end, our program includes important training on CPR, First Aid, and AED usage, infection control, taking vital signs, range-of-motion exercises, the Art of Caregiving, communication, teamwork, and workplace safety. As the premier provider of CNA training in Sacramento and across the country for more than 100 years, the American Red Cross has helped thousands prepare for work in the medical field. Designed by industry experts, our courses deliver the latest science and educational technologies to help you succeed. In addition, our CNA course, like all of our courses, are developed under the guidance of, and reviewed by, the Red Cross Scientific Advisory Council, which ensures that you receive the most accurate, up-to-date training available.